Sometimes sport begins in the most mundane ways. The joy it provides and the improvement in health it can lead to are priceless. A weighing scale changed life for Venketeswara Rao Navanasi. 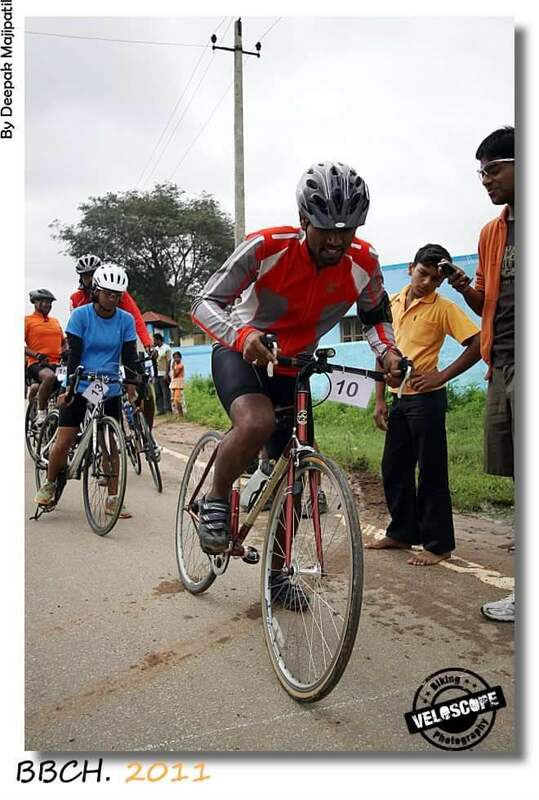 Three years later, he won a race at the Bangalore Bicycle Championship. A further seven years later he is coach, training others. The oldest recorded evidence of weighing scales being used dates back to 2400-1800 BC. According to Wikipedia, the proof showed up in Indus Valley in the form of uniform polished cubes of stone. The material used had varying density but mass was set as multiples of common denominator. Since those beginnings likely in commerce, the weighing scale has come a long way. While the classic scale featuring counterweights and two pans faded to the stuff of imagery, variations of the bathroom scale and the kitchen scale are now more commonplace – a platform to place the object to be weighed; a dial or electronic digits to tell you the outcome. Ever since the link between health and body weight was explored, measuring body weight has been a curiosity with people. Hyderabad, February 16, 2008. The young couple at a city multiplex had reached there from a friend’s wedding. The wife was expecting their first child. Venketeswara Rao Navanasi, then 31 years old, headed for the weighing scale. He stood on it. It said 92 kilos. 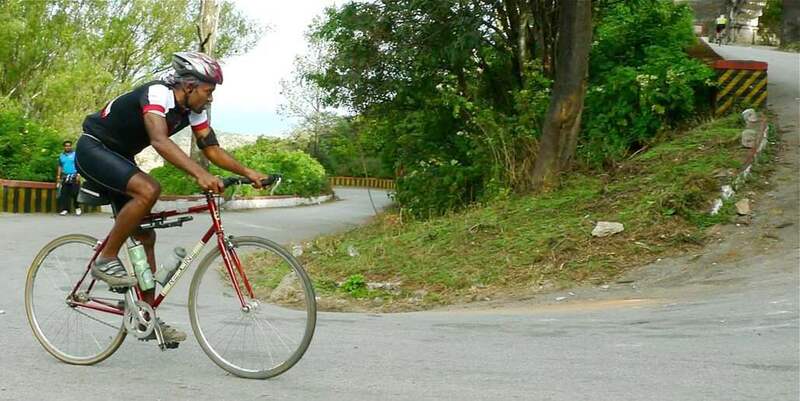 Ten years and eight months later; that encounter with the weighing scale – Bikey Venky said – is how his story in cycling began, as a quest to reduce weight. Venky was born 1977, youngest of three children, at Eluru in West Godavari district of Andhra Pradesh. Eluru was district headquarters. The land around was generally flat. Agriculture was the main source of income. Although his father – he used to be a fertilizer dealer – came from a well off background, by the time Venky arrived little of that wealth remained. “ My father was self-made,’’ Venky said. Schooling done in Eluru and Vijayawada, Venky shifted to Hyderabad for college. In his first year of graduate studies, his father passed away. He therefore returned to Eluru and completed his BSc (Industrial Instrumentation) there. Then he went back to Hyderabad and finished his post-graduation in computer applications (MCA). Following his studies, he joined a small firm called Webhelp (later acquired by Brigade Corporation). Next move was to Keane India (now NTT Data); with them he worked in Gurgaon for six months, returning to Hyderabad after the stint. In 2009, the company posted him for 11 months to Vermont in the US. Back from this assignment, he joined ITC Infotech and shifted to Bengaluru. Nowhere in life thus far, had sports found place. “ Physical activity wasn’t my forte,’’ Venky said. In college he played a bit of cricket but it smacked of reluctant participation. He was a terrible fielder and when he batted, preferred to employ others as runners between wickets. It was predicament traceable to school days. As a child Venky had health issues. He suffered from asthma, had frequent bouts of bronchitis and had lengthy spells of coughing through the night. “ Breathing was a challenge for me. My mother would carry me from hospital to hospital. Nothing worked,’’ Venky said. Further, akin to his father, he was on the heavier side. “ As youngster, I ate a lot,’’ Venky said. During his years of graduate studies, his brother introduced him to a friend who was a weight lifter. Subsequent work out at the gym helped shave off some of his body weight. The physical workouts also eased his coughing episodes. But returned to study and sedentary life by post-graduation, all that he sweated off came back. “ I was back to being physically unfit,’’ Venky said. In 2006, he got married. Roughly two years later, he was staring at what the multiplex weighing scale informed. “ I was at least 20 kilos overweight. I looked at my wife and felt if I stayed the way I was, I risked being a bad example to our child,’’ Venky said. Conditioned to be social, human beings usually pick games over solo pursuits. Post weighing scale episode, Venky’s first instinct was to buy a shuttle racquet. Two things surfaced from the daily shuttle badminton sessions with other residents of the apartment complex he lived in. First, he realized he was quite unfit. Second, as the weeks went by, he felt his fitness slowly improve. Encouraged, he joined for yoga and also began controlling his diet. By October 2008, he had lost 16 kilos. His child was now six months old and with new addition to family around, Venky was unsure how sustainable his engagement with sport could be. So he froze the weight reduction spree and decided to maintain body weight at where it had fallen to. For this he sought an exercise that he could incorporate into his regular lifestyle; something you didn’t have to take time out to do. That’s how he got down to researching what bicycle to buy. It was somewhere around this time that Venketeswara Rao Navanasi became Bikey Venky. The reason for this was a hangout on the Internet for cyclists, called Bike Zone. 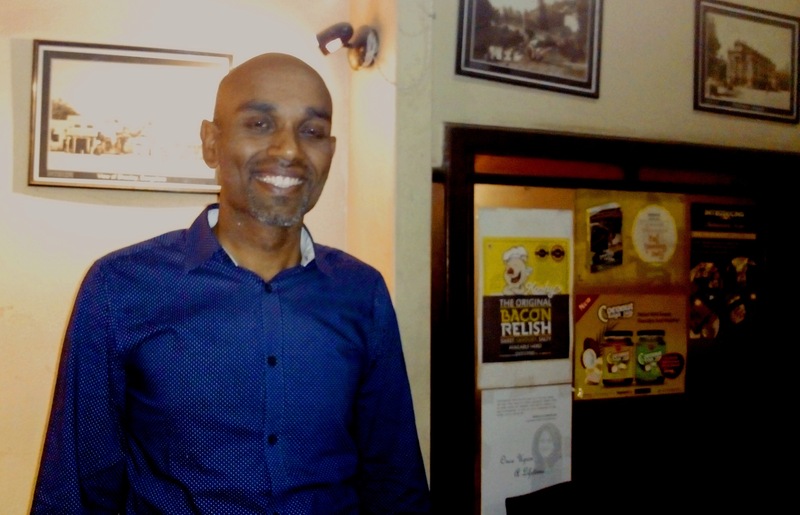 When it came to signing up as a member, Venketeswara Rao Navanasi found that the popular abbreviation of his first name – Venky – was already taken. 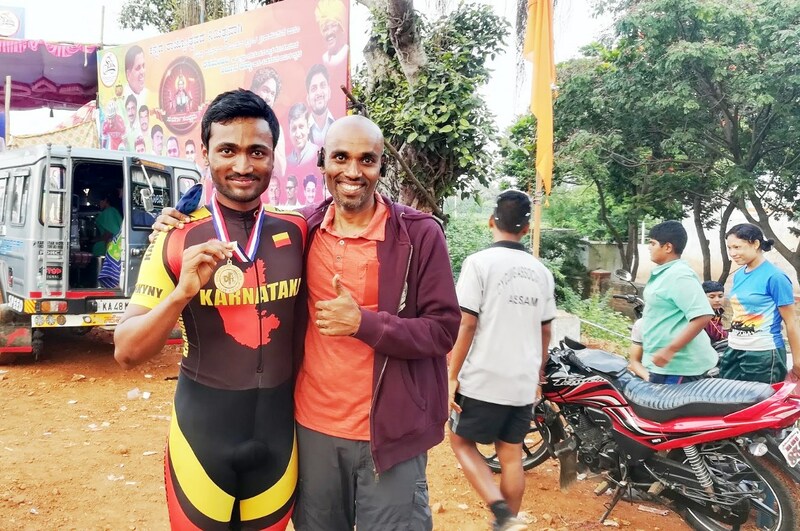 It had gone to Venkatesh Shivarama, now a well-known figure in Bengaluru’s cycling circles and proprietor of Wheelsports. To distinguish himself from the Venky of Wheelsports, Venketeswara Rao Navanasi assumed the moniker: Bikey Venky. It stuck. On October 28, 2008, Bikey Venky (hereafter in this article, called Venky) bought his first bicycle – a Hero Hawk road bike. 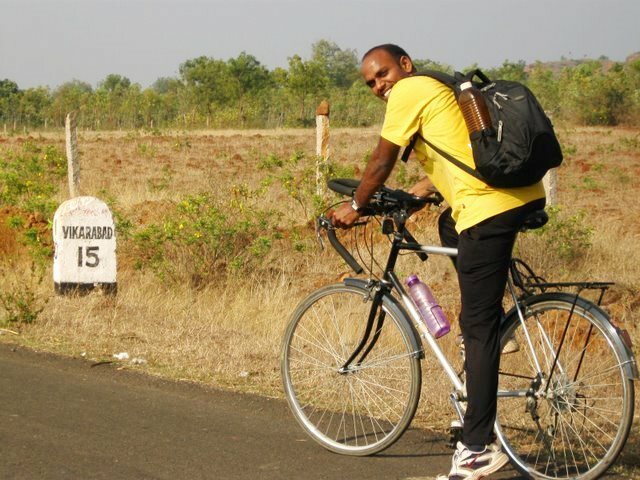 He bought it from a store at Koti in the center of Hyderabad and rode it 25 kilometers to Miyapur, where he stayed. “ That was my first bicycle ride as an adult. It was very satisfying,’’ he said. Soon he commenced cycling to work and back. But as he did so he noticed that his soul was aching for more miles to log. “ I guess I wasn’t getting enough endorphins,’’ he said laughing. He started riding 20-50 kilometers on weekends. Within two months, he did his first 100 kilometers. It was a lesson on too much, too early. He returned with a sharp pain in his left knee. The culprit was a wobbly pedal. Simple as they seem, sports like cycling and running are highly repetitive. Something small and incorrect runs the danger of piling up into a big problem, courtesy repetition. “ The bike had some problem or the other all the time. I became an expert at fixing it. It was not fun. But it was something I had to do,’’ Venky said. Hyderabad had a clutch of active cyclists at this time – people like Shay Mandel, Ed Martinez and Mathew McTee. Shay started Hyderabad Bicycling Club (HBC). They organized rides, which Venky joined regularly. The rides gave discipline and structure to his cycling. When the time came for him to shift to Vermont with Keane India, he started looking for ways to continue his cycling in the US. He found that there was a bicycle collective in Vermont that collected discarded bikes, repaired them and sold them at a cheap price. Coincidentally, it also turned out to be on the same street where Venky lived. The shop opened only for a few hours every week. He volunteered to repair bikes there. “ If you accumulated eight hours of volunteering, you could build a bike with whatever components were available at the store. I logged eight hours in a couple of months,’’ he said. His first bike built so (using components available at the shop and ordering those that weren’t) was an 18 speed, rigid fork MTB on 26 inch wheels. He built it from an old unused chromoly steel frame. Venky elected to own a MTB because he had reached US in winter and a MTB seemed the best type of bike to get around. He started riding to work on the bicycle, doing so till winter became full blown, when he began walking to office. 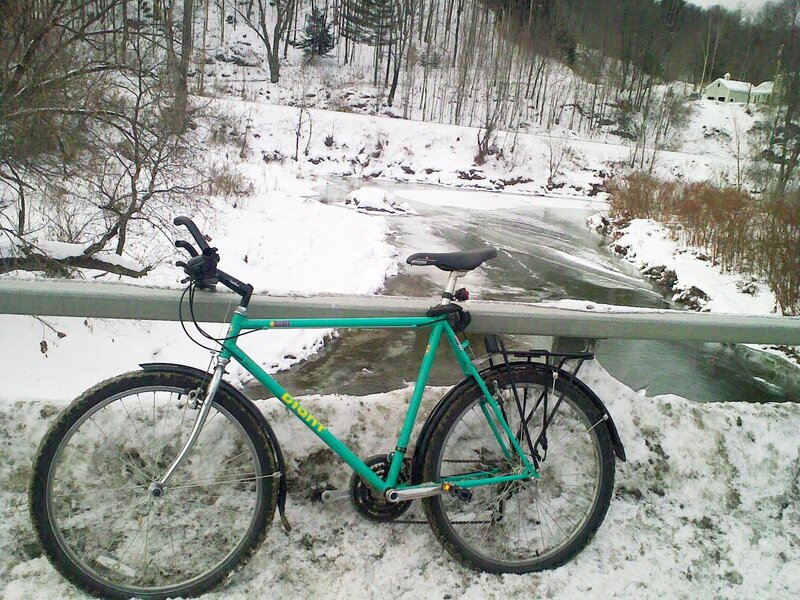 “ A downside to cycling in Vermont was that the weather window was small,’’ he said. Vermont is in the north eastern part of the US; it borders Canada. It has the second lowest population among the states of the US. In terms of weather, it is not a particularly warm place. It has cold winters; certainly quite cold for someone going to work there, from southern India. To overcome the small weather window he perceived in cycling, Venky also got into running. Training for his first marathon in Vermont, he however developed knee pain on the third long training run. The problem was diagnosed as related to dissimilar leg length. Given it didn’t bother in cycling, he reverted to that sport. 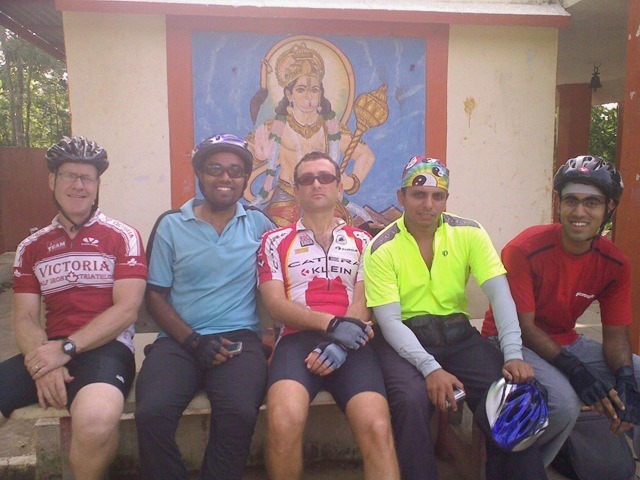 In May 2010, Venky’s life in cycling took a significant turn. He found an enduring partner for his growing adventures on two wheels. Bike swap is common practice in the US. Used bikes are brought to stores; the stores take a cut from sale proceeds, the sellers stay anonymous and the proceeds are adjusted against new buys. At a bike swap he attended to pick a bicycle for his friend’s daughter, Venky fell in love with a Redline 925 fixie that was perfect fit for him. Redline is an American bicycle manufacturer with particularly strong reputation in BMX. According to Wikipedia, it is currently owned by the Netherlands based-Accell Group, which also owns other bicycle brands like Lapierre, Raleigh, Ghost and Diamondback. Venky’s interest in fixies went back to his days in Hyderabad; Mathew McTee used one. The bike Venky wanted cost $ 120 and while he was away from the store, getting the money, it was purchased by a woman. But she realized pretty soon how interested Venky was in the bike that she sold it to him. The bike was a fixie with single speed option. After some initial riding on single speed, he switched to fixie and never looked back. “ With a fixie you get constant feedback. It gives a sense of oneness with machine,’’ Venky said. Vermont is hilly. 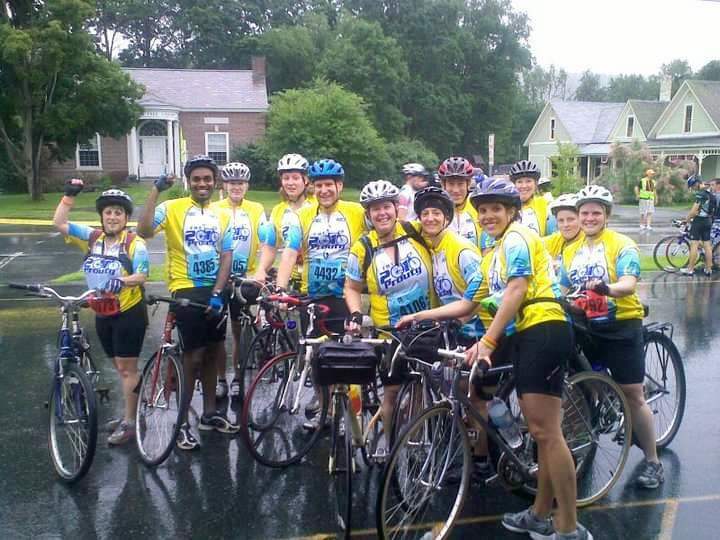 In July 2010, Venky did his first 100 miler on the fixie, a charity ride called Prouty Challenge. The preparation for it – along with friends at work – was systematic. They had jerseys made. The training was proper. The team completed the ride well. It was now time to return to Hyderabad. Venky sold the MTB; he retained the fixie, bringing it with him to India. In 2010 Venky shifted to Bengaluru. 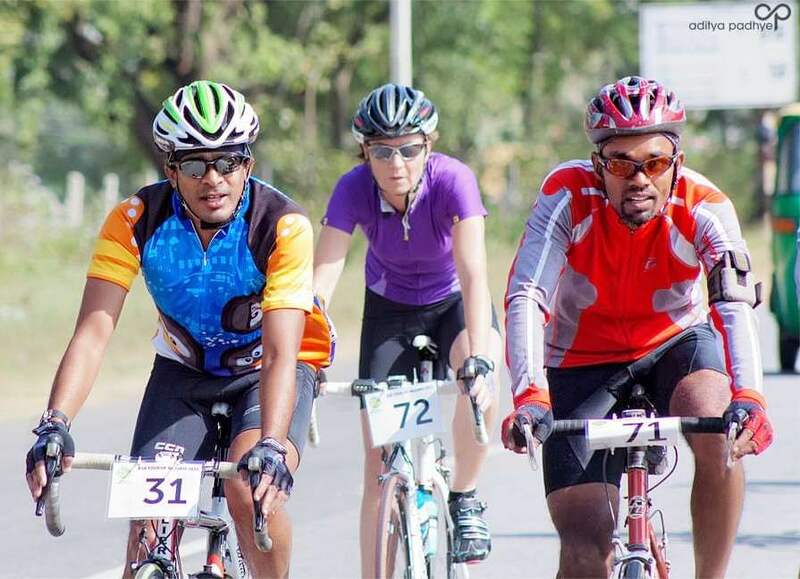 Having heard of Tour of Nilgiris on Bike Zone, he decided to attend the after party of the event’s third edition. Among cyclists he met there was Hari Menon. “ I was blown away by the experiences I heard. I was so inspired that I wanted to sign up,’’ Venky said. During this time, he was riding alone in the city. Then with a few friends and having acquired a Giant Warp full suspension MTB, he commenced riding on trails. They did a lot of riding in Turahalli and Savantdurga. One of his friends Vineet Katarki was due to attempt Tour of Nilgiris. 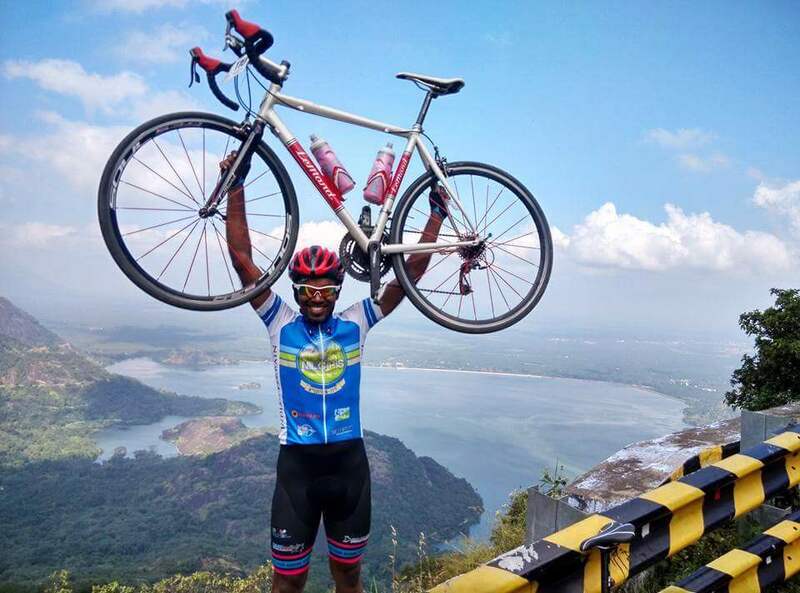 Used to climbing Bengaluru’s Nandi Hills on his fixie, Venky wished to see if the Tour’s route near Ooty was doable for him. So in May 2011 Vineet and he went to check it out. Of the two routes up – one from Kalahatti, the other from Gudallur – Venky found the Gudallur-Ooty section alright but Kalahatti tough. He couldn’t complete the second. In July he started training for the Tour. From 78 kilos he dropped to 66 kilos by December, riding roughly 10,000 kilometers in training. 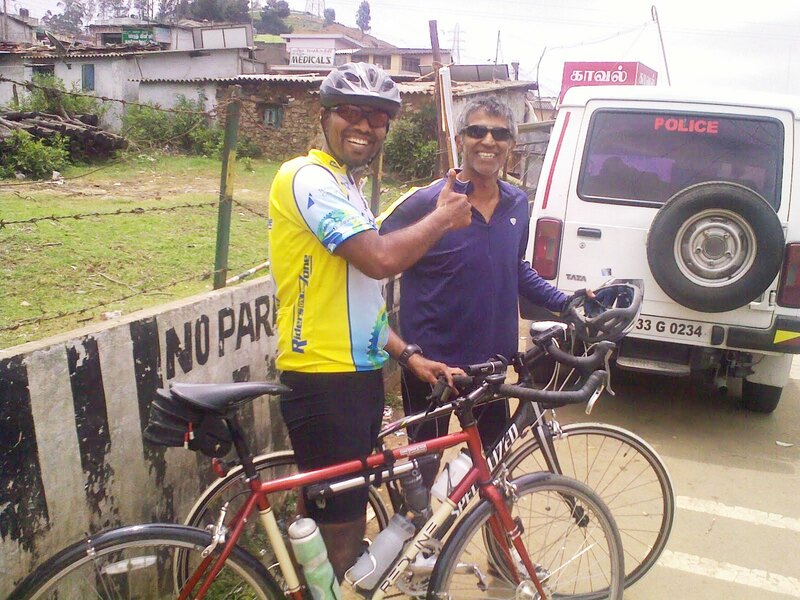 “ That period changed my cycling completely and in a way, my life,’’ Venky said. Less than two months into that training, something else – something rather defining – also happened. 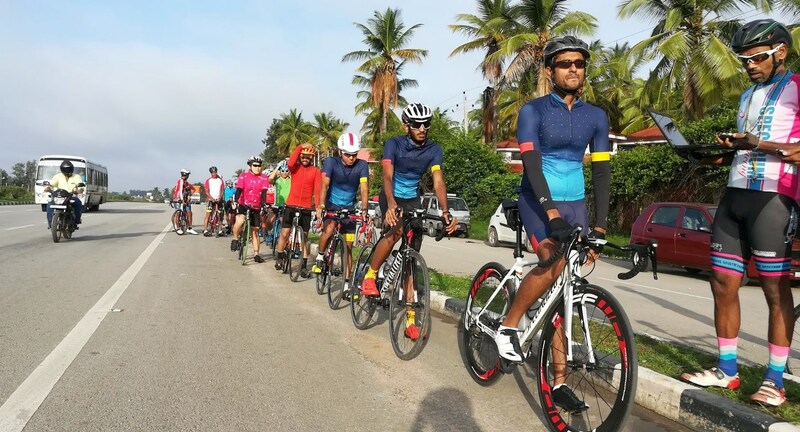 Aside from Tour of Nilgiris, Bike Zone had played a catalytic role in triggering the Bangalore Bicycle Championship (BBCH). It was a series of races that eventually spread throughout the year. In August 2011, Venky went to see the BBCH team time trials. He was standing among the spectators when the organizers informed that even if those around lacked a team they could still participate in the individual time trial if they wished to. Venky had gone to watch the race on his trusted fixie. Hearing what the organizers said, he immediately enlisted for the individual time trial. “ I was nobody. I had nothing to lose,’’ he said. Venky clocked 33 kilometers per hour on the fixie. Unaware of race outcome he left the venue. That was when he got a call from Brijesh Nair informing that he had won the race and that his medal was waiting to be collected. It was the first medal of any sort he had won in his life. “ It was my first race. That result was a pleasant surprise,’’ Venky said. He had until then only watched BBCH; in fact he watched it without fail. “ BBCH was window to real cyclists, real speed and real training,’’ he said. Later the same year, his participation in the Tour of Nilgiris went off well. The Tour has some stages which feature racing. He did well in those stages, yet again riding his fixie. Within the Tour, there was a rest day in Kannur in Kerala. Spectrum Racing – one of Bengaluru’s bicycle racing teams – used that break in the race to ask Venky to join them. By then he was already member of Veloscope, the team founded by Brijesh Nair. Venky discussed the offer with Brijesh. Eventually he moved to Spectrum. According to Venky, such shifts from one bicycle racing team to another in Bengaluru are informal affairs. There is no money in the deal; no administrative framework to negotiate or adjudicating third party overseeing transfer. It is based on friendship and good faith. Venky’s new team was quite supportive. 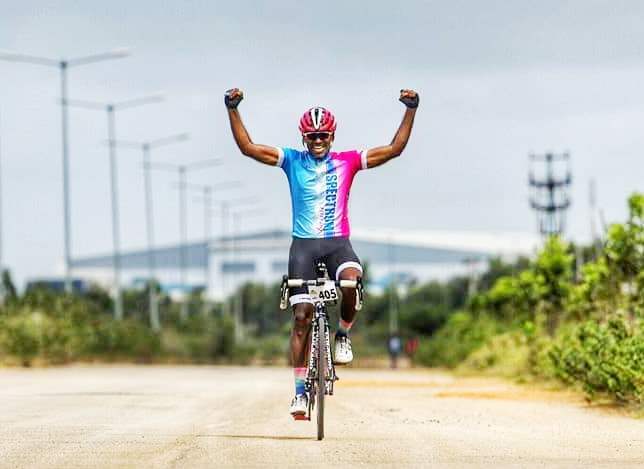 In cycling circles, the road from Budigere Cross to Devanahalli is known as Siva’s Road because it was Sivasai Nellore, a member of Spectrum, who commenced using that road to go to Nandi Hills. When Siva bought a new bike, he offered his old bike – a three year-old LeMond Reno – to Venky. It was Venky’s first real bike with gears and frills. He got it at a discount; it was made still easier on the pocket with payment in installments. “ That is how supportive he was of a teammate,’’ Venky said of Siva. 2012 was Venky’s first proper racing season. The next year – 2013 – was his first year on the podium with Spectrum. From then on, BBCH medals became more regular. In 2017, he raced abroad with Spectrum for the first time – it was the Tour of Friendship in Thailand. Venky has since resolved to race abroad at least once every year. In 2009, Venky started a blog called govenkygo.com. At the 2011 Tour of Nilgiris he used to ride and blog about his experience every day. Impressed, for the 2012 edition of the event, the organizers asked him come aboard as official blogger. 2018 will be his eighth year blogging so about Tour of Nilgiris. However the real benefit of blogging was something else. Among other things, Venky’s blogging was a document of his improving performance (he touched 40 kilometers per hour on the bike for instance). People wrote in asking him questions about how he trained, how he set up his bike. He responded diligently to the queries. Then a couple of years ago, he chanced upon a tool that made such interaction easier. However using it cost money. Alongside he also knew that what comes for free typically has no value. So Venky commenced his own coaching site – BV Coaching, where he trains for a fee. His blog’s URL now dovetails into the coaching website. His first trainee was Vivek Batheja, a member of Spectrum. Venky said he has around 20 trainees. Meanwhile on the work front, in 2015, the client Venky worked for at ITC Infotech started their own captive unit. Venky joined them. It was the IT wing of a Danish bank; the outfit is called Danske IT. After he joined them, Venky had opportunity to go to Denmark. He took his cycle along and rode there. Venky’s real accomplishment in cycling is perhaps none of the above. BBCH has both MTB and road bike races. For those more into road racing – Venky among them – the once a month-BBCH may prove inadequate frequency to stay engaged with. There was general feeling that more races were needed. He discussed the issue with Spectrum. Rather than complain about the inadequacy, Venky felt it made sense to do something. He took the initiative to start a new racing calendar called Bangalore Amateur Racing (BAR). It held its first race – a 24 kilometer-individual time trial – on July 21, 2013. Since then, BAR has coexisted with BBCH; their dates don’t clash. According to Venky, over time BBCH had come to mean serious racing. So much so that newcomers require a separate event as stepping stone to BBCH. In part, that is the relevance BAR has come to have. What’s more top notch racers like Naveen John also participate in BAR, using it as additional opportunity to race and train. The presence of such talent to interact with and the opportunity to see them in action adds to newcomers’ experience, Venky said. At present in Bengaluru, every first Sunday of the month sees a BAR race; every third Sunday features BBCH. BAR works with minimum overheads. Sometimes all you have for officials are Venky and a friend. Results are provided as soon as given race ends. Belief is – the lower the overheads, the greater the ability to sustain. As for himself, Venky’s wish is to one day qualify for the UCI Grandfondo World Series finals in age category. Earlier in 2018, he attempted to qualify for Masters at Tour de Bintan in Malaysia. But the attempt failed. To qualify you have to be in the top 20 per cent of finishers in individual time trial or road racing. In cycling, competition is stiff even among middle aged athletes. I asked Venky if cycling long distance – as in ultra-cycling – attracted him. The longest distance he had cycled till then was 250 kilometers. “ I don’t think I am wired for endurance cycling. Racing is what I like,’’ Venky said. As for that old frailty and the coughing his mother struggled to cure; it doesn’t haunt him anymore.